I prepared it to practice frequency adverbs. 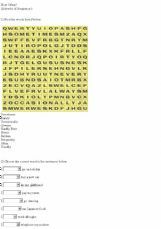 3 different exercises related with frequency adverbs, one with images, a writing exercise and word search. 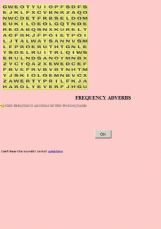 Find the most common frequency adverbs in this wordsquare! 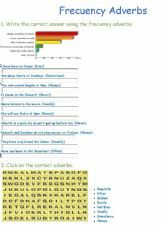 Revision of Adverbs and expressions of frequency. 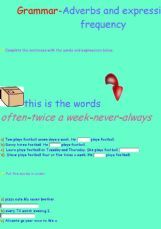 An easy game to practice the adverbs of frequency. Adverbs of Frequency - How Often? Guess the adverbs in this game!!! !